By Ari Sauer, immigration lawyer with the Memphis, Tennessee office of the Siskind Susser Law Firm. 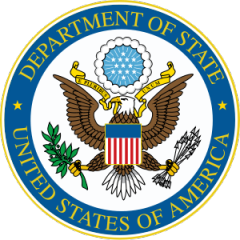 The US Department of State has issued the April 2014 Visa Bulletin. The DOS Visa Bulletin lists visa availability to let foreign nationals know when they can file an immigrant visa application or application for adjustment of status to obtain a green card as a US permanent resident base upon the immigrant petition filed by their relative, employer, self-petition or under the Diversity (DV) Lottery. The dates listed are the Priority Dates for immigrant petitions (i.e., I-130, I-140, I-360, etc.) or DV Lottery winner case numbers. A visa is available if your priority date is earlier than the date listed for your category and country of chargeability or if your DV Lottery case number or a larger number is listed. The April 2014 Visa Bulletin becomes effective on April 1, 2014. Until then the March 2014 Visa Bulletin remains in effect. If you file an application for adjustment of status too early, your application will be rejected or denied. First Preference (F1) Unmarried Sons and Daughters of US Citizens: Visa availability for the Philippines moved from August 15, 2001 to November 1, 2001. Availability for Mexico moved forward from October 15, 1993 to November 1, 1993. Availability for everyone else moved from February 1, 2007 to February 22, 2007. Second Preference (F2A) Spouses and Unmarried Children Under 21 of US Permanent Residents: Visa availability for Mexico remains at September 1, 2012. Availability for all other countries remains at September 8, 2013. There is no expectation that visa availability will move forward until October 1, 2014, and it may be that the DOS may retrogress this category sometime this year. Second Preference (F2B) Unmarried Sons and Daughters Over 21 of US Permanent Residents: Visa availability for the Philippines remains at June 8, 2003 this month. Availability for Mexico remains at May 1, 1993, where it has been since February. Availability for all other countries moved from September 1, 2006 to October 22, 2006. Third Preference (F3) Married Sons and Daughters of US Citizens: Visa availability for the Philippines has moved from February 15, 1993 to February 22, 1993. Availability for Mexico has moved forward from June 8, 1993 to June 22, 1993. Availability for all other countries moved from June 15, 2003 to July 15, 2003. Fourth Preference (F4) Siblings of US Citizens: Visa availability for the Philippines moved this month from September 1, 1990 to October 1, 1990. Availability for Mexico moved from November 15, 1996 to November 22, 1996. Availability for all other countries moved from November 8, 2001 to November 22, 2001. Second Preference (EB-2) Advance Degree Professional, Exceptional Ability, or National Interest Waiver: Visas availability for India has not moved since December 2013 and continues to remain at November 15, 2004. Availability for China has moved from February 15, 2009 to March 8, 2009. Visa availability for all other countries is current, meaning there are visas available for all priority dates. Third Preference (EB-3) Professional, Skilled Worker and Other Workers: Visa availability for the Philippines has moved forward from May 1, 2007 to June 15, 2007. Availability for India remains at September 15, 2003 this month. Availability for all other countries has moved from September 1, 2012 to October 1, 2012. Fifth Preference (EB-5) Investors: Visa availability remains current for all countries, meaning visas are available for all priority dates. The EB-5 category is expected to remain current for all countries for at least the next few months. We are expecting an update from the DOS around June or July about what to expect beyond then. Submit questions to Ari Sauer – The Immigration Answer Man by emailing your question to immigrationanswerman@gmail.com. Questions submitted by email will be posted without personal information unless specifically requested. Due to the volume of questions received, not all questions submitted will be answered. Only general questions can be answered on this blog. For answers to specific questions about your situation, please schedule a consultation appointment with attorney Ari Sauer. Sending in a question by email or any other means does not create an attorney-client relationship. * This is an advertisement. Ari Sauer is an attorney with the Siskind Susser law firm. www.visalaw.com/ari.html. On this blog we answer questions as a service to our readers, but we cannot assume any liability related to reliance on anything herein, and responses to questions are not intended to establish an attorney-client relationship. Immigration laws and regulations are constantly changing and the rules stated may not apply to your situation. Readers are cautioned to schedule a consultation with an immigration lawyer before acting on anything stated in this blog. This blog is not intended to substitute for a consultation with a qualified immigration law attorney. Ari Sauer is licensed to practice law through the states of Tennessee, New York and New Jersey but is eligible to assist clients from throughout the US. Certification as an Immigration Specialist is not currently available in Tennessee, New York or New Jersey. Siskind Susser limits its practice strictly to immigration law, a Federal practice area, and we do not claim expertise in the laws of states other than where our attorneys are licensed. the opinions expressed here are those of Ari Sauer and do not necessarily reflect the opinions of Siskind Susser. Unfortunately, I cannot tell you how long it will take for a visa to be available for your petition. No one can. Not even the people at the Department of State who make the Visa Bulletin. Here is a blog post of mine explaining why that is. This entry was posted on March 10, 2014 by Immigration Lawyer Ari Sauer - The Immigration Answer Man in DOS, Family-Based Immigration, Permanent Residence, Permanent Resident, Visa Bulletin, Visa Chargeability and tagged April, China, Department of State, DOS, DOS Visa Bulletin, Green Card, India, Mexico, Philippines, visa, Visa Bulletin, Visa Wait, visas.